Last year we published our astonishing Bitcoin (BTC) price forecast of 160,000 USD. Is this price forecast still relevant after the crypto crash? This article features our Bitcoin price forecast for 2019. Since last year when we wrote our $160,000 forecast for Bitcoin many things have changed in crypto land. First and foremost, Bitcoin has matured as an investment vehicle, primarily with the introduction of Bitcoin futures. Second, the crypto crash brought a great level of cleanup, and considerably changed the dynamics in the crypto market. Third, we started to see a trend in the type of Bitcoin ETFs that are submitted to the SEC, which, according to us, delivers an important insight. That said, we can revise our previous forecast, and add lots of new insights to derive an up-to-date Bitcoin price forecast for 2019. Is our previous Bitcoin price forecast of $160,000 still accurate? The short answer: we do not see Bitcoin rising to $160,000 anytime soon. It may be a very long term target, potentially, but not by 2020 or 2022 which was the timeframe we used when we published this Bitcoin price forecast. 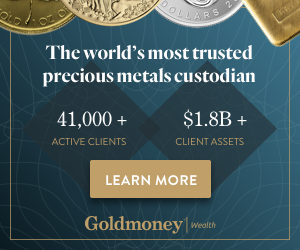 One of the most important reasons for this is the introduction of Bitcoin futures. This allows large investors to put pressure on Bitcoin’s price in a way not seen before. In other words, the introduction of Bitcoin futures on December 17th 2017 resulted primarily in subdued returns to Bitcoin going forward. What we see is an emphasis on non-physical Bitcoin ETFs. The ETFs that are submitted are primarily derivatives. They can go short, or are correlated to Bitcoin futures. We don’t like this, at all in fact. Only physical Bitcoin ETFs are good for the Bitcoin market, derivatives bring a market to another state. On the flipside, however, institutional investing is likely going to enter Bitcoin in 2019. Think of the Bakkt platform as well as the Nasdaq offering cryptocurrency investing to institutions. That’s a positive. All in all we believe increasing derivatives in Bitcoin’s market will put pressure on returns. The $160,000 Bitcoin price forecast which we did set by 2022 is not realistic in current circumstances. As per the Bitcoin usage and adoption statistics on Statista.com the ownership of Bitcoin is still very low, slightly but not much higher than when we wrote 10 Investment Tips For Cryptocurrencies Investing 18 months ago. The 3 stats shown below, however without precise figures as that’s only available for premium members, show that Bitcoin ownership was very low in the U.S. amid an amazing Bitcoin price rise, willingness to use Bitcoin for transactions is significant (equally spread yes, no, neutral answers) and the shares of U.S. adults planning on investing in Bitcoin is clearly a phenomenon for the younger generation who probably view crypto as a product of ‘their’ digital age. 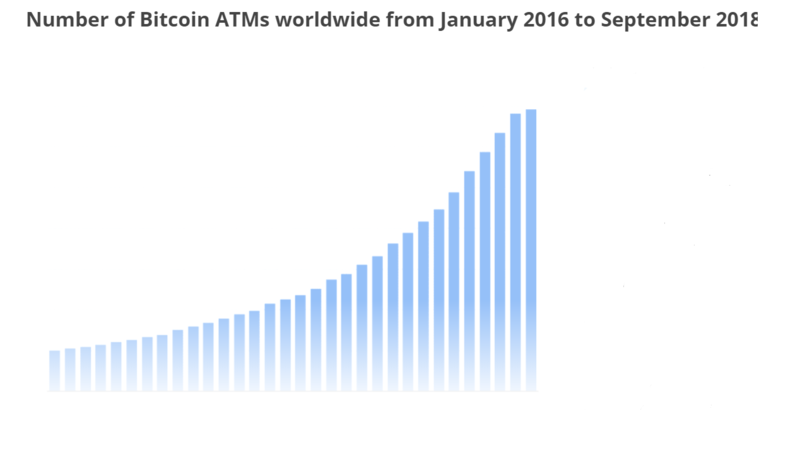 Moreover, when it comes to Bitcoin ATMs worldwide, we see a stagnation in the last few months. This is the first sign of stagnation. It suggests to us that the idea of using Bitcoin as a payment method is being challenged right now. With the advent of stablecoin we believe Bitcoin has a serious competitor for payments and transactions. What we believe is happening with Bitcoin, still the highest market cap in crypto space, can be summarized with the following points. This, of course, is critical information for our Bitcoin price forecast for 2019. Bitcoin as an investment is maturing, with futures being introduced already and other derivative products coming online in 2019 and beyond. Bitcoin adoption as a medium for transaction is not likely going to continue. Bitcoin does not have the mandatory features of a payment method. That’s why the number of Bitcoin ATMs worldwide starts stagnating. Primarily the young generation is open for Bitcoin usage as they consider it a product of their age. The older generation is skeptical. That said, and as per InvestingHaven’s blockchain & crypto investing research, Bitcoin evolved into the leading indicator for the crypto market early this year. We started writing about this already in February, as the crypto crash was going on. Many crypto investors made a big mistake by focusing on the wrong indicators for the crypto market. We told our premium crypto subscribers countless times to focus on Bitcoin, and its chart structure, in trying to understand how the crypto market will shape up. We believe that Bitcoin will only function as the leading indicator for the crypto market, setting the high level direction, per its chart structure. Nothing more, nothing less. Obviously, if this is true, it yields critical information for any crypto related investment, not only cryptocurrencies but also blockchain stocks. With all the insights laid out in this article can we do a Bitcoin price forecast for 2019? Yes, is the answer, and our annotated long term Bitcoin price chart should help us with this. Below is the 4 year chart of Bitcoin. It shows a perfect long term channel with 4 bands. Note that Bitcoin never fell into its ‘support band’, implying there was still plenty of downside potential before the long term bull market would be over. This certainly is not how crypto investors felt about it, on the contrary. Bitcoin is now trending in its ‘transition band’, since May of this year. We believe that the ‘transition band’ will be the one in which Bitcoin will trade most of the time. Arguably, when the next strong period of momentum in crypto land starts, Bitcoin will move to its ‘bullish band’. But with all insights laid out in this article we don’t see Bitcoin going to its ‘super bullish band’ though. That’s why we believe that it is very realistic to expect a Bitcoin price of $25,000 to be reached in 2019, assuming the crypto crash is over. Previous all-time highs will be taken out, but we believe Bitcoin will trade within its ‘bullish band’, not higher. That’s why it is worth revising the Bitcoin price charts in this article which was originally written 3 months ago as part of our Bitcoin price forecast 2019! What happened since we originally published this article is that Bitcoin fell through its rising channel. This is not the most bullish development, admittedly. But the whole point is that this is part of the corrective cycle in the context of the 2nd bull market with subsequent bear market. Exactly the same happened during the first bear market. People are doubting whether the crypto bull market will ever resume. We make the point that the next crypto bull market will be there the latest by 2020. The answer to this question is easily derived from below chart which maps fundamental analysis with chart analysis as per our proprietary method of our blockchain investing research service (this chart is a sneak preview of our service). This statement does not make sense, does it? Because sentiment is bad we would believe that our bullish Bitcoin price forecast will materialize. It’s the world turned upside down! People are doubting whether the crypto bull market will ever resume. We make the point that the next crypto bull market will be there the latest by 2020. Because of Bitcoin’s historical price chart. It shows strong similarities with the 2014 bear market, which ended early 2015 after which a long consolidation period started! Interestingly, early 2015, the sentiment was as horrible as it is today. The vast majority of people make this horrible mistake of buying high and selling low. Smart investors do the opposite. When Bitcoin’s price was at all-time highs there were only few out there recommending to sell, even CNBC said so. InvestingHaven flashed a sell call on Dec 31st, 2017, in this article. Right now we see the opposite: everyone is scared to death to buy crypto while we recommend to start becoming more aggressive in buying quality cryptocurrencies! Indeed, it’s the principle buy low sell high that we apply. We strongly believe that institutional money is waiting to enter the crypto space. We spoke about this extensively. The new crypto bull market will be driven by institutional money in combination with the new wave of innovation and adoption which will come from security tokens combined with stablecoins. That’s what we start seeing on Bitcoin’s price chart. Again, the similarities between 2015 and the present day are strong, the drivers are different. But who cares about the drivers? As long as they are in place and prices follow the path higher! The yellow circles on below charts are the ones that really matter. Our conclusion is simple and straightforward: crypto is alive and kicking. With each passing day that Bitcoin remains stable around current price levels (while sentiment becomes worse) there is additional confirmation that our Bitcoin forecast will materialize. We like this, a lot even!